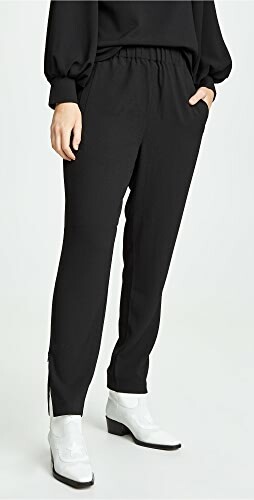 Nordstrom Anniversary Sale 2018 is open to the public! 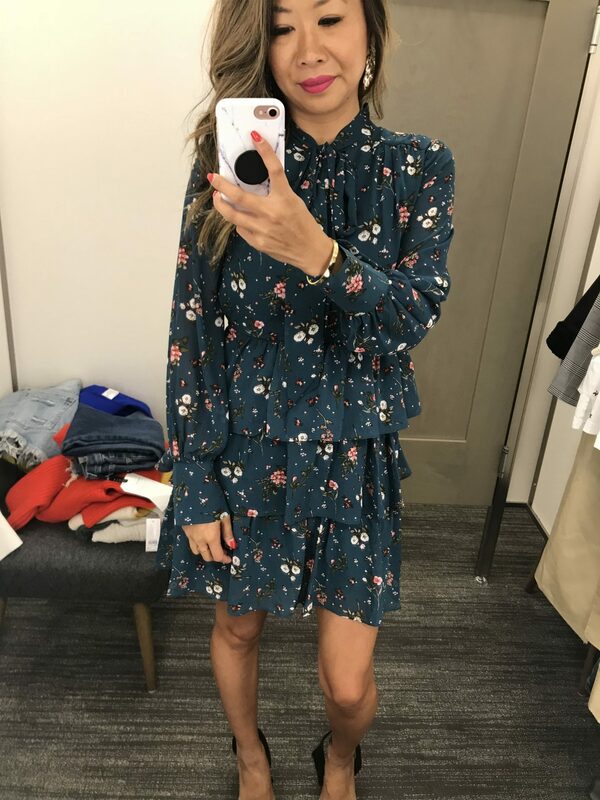 These are a few try on items I bought and more suggestions of what I think are great for the upcoming season. Get ready :)! 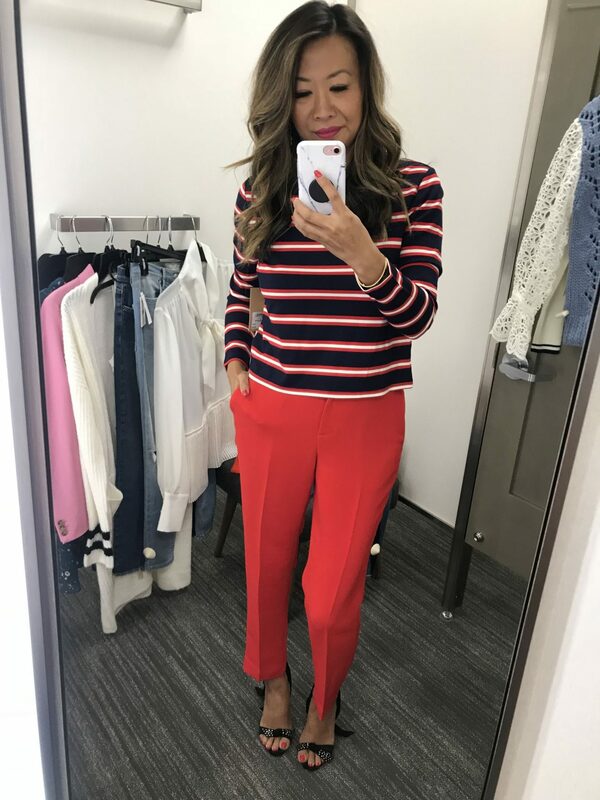 Obsessed with this striped top! So comfy and a steal. I just shot professional photos of it, but haven’t gotten the photos back. It’s my favorite every day item. 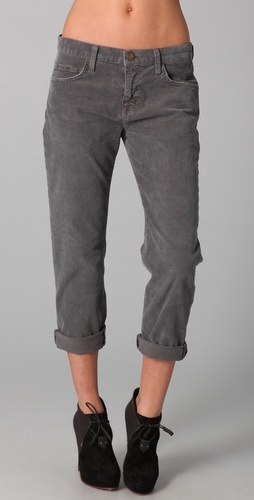 These frame denim trousers are AMAZING! 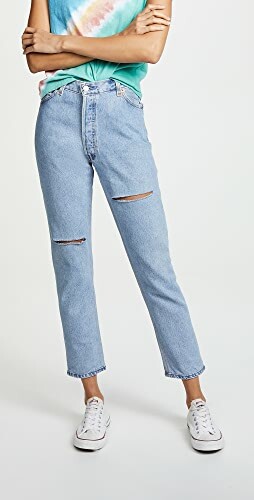 I splurged on denim this year as I wanted better fitting ones and the prices are great for the sale. 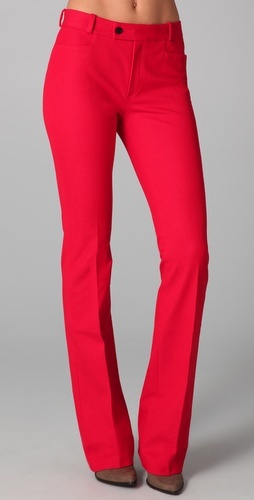 I know many of you head into work and these pants are perfect for work wear! I love the color and the combination of it with the striped top! 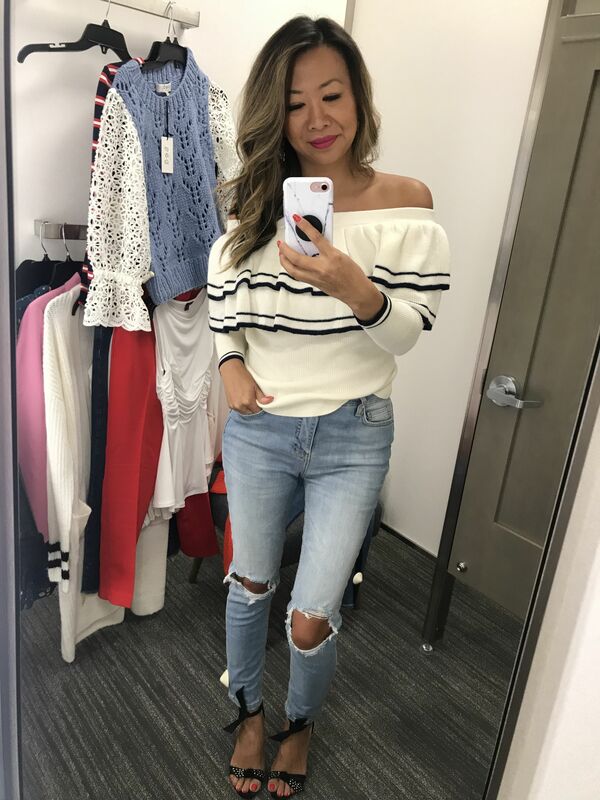 This off shoulder sweater can also be worn as a one shoulder (as seen in the photos in the link). It’s so cute and girly and paired with these distressed denim (which I have two pairs of) is perfect. A leather jacket is my all time favorite clothing item. I have probably 5-6 of these (yes, too many) but I wear them all the time! This one is a designer piece on major discounts, but there is also affordable ones I love here and here. 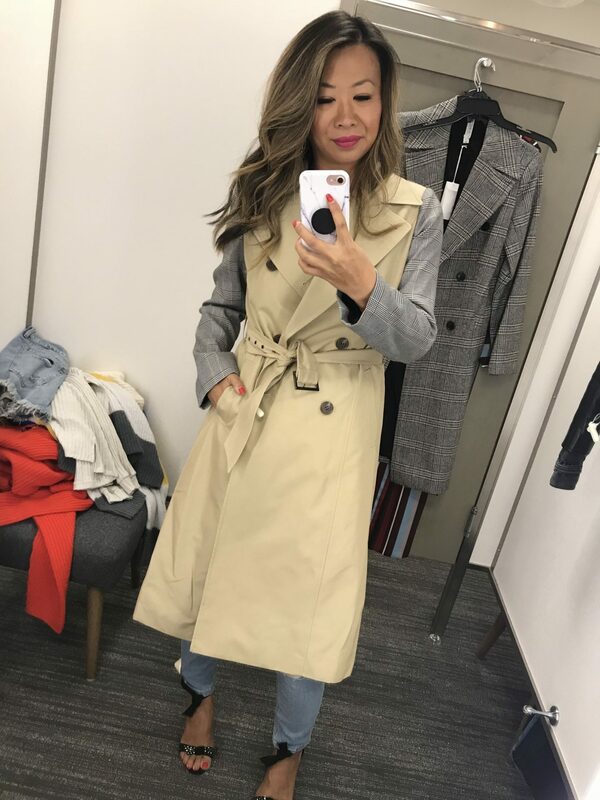 A classic trench coat is needed in every closet and this one above and the one below are fabulous and under $85!! I love that this one has the plaid sleeves – how cute and perfect for fall. Ladies! This plaid trench is the cutest if you wear solids typically! Add this print into your closet and pair it with all black, black over the knee boots, and you’ll be styling. Also under $85, it’s a fashionista steal. A pink blazer had me at hello! Plus it’s J. Crew so you know the fit is a classic. 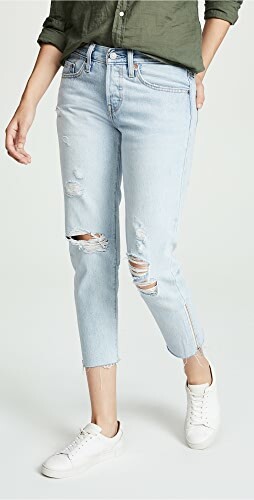 With these skinny, medium wash denim its perfect. 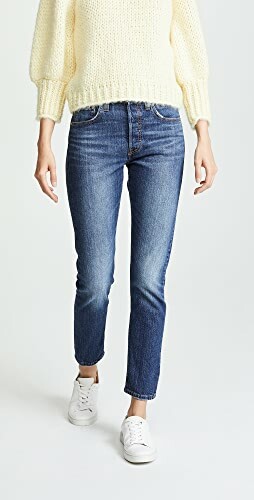 I wanted to buy these denim too (but got three pairs and have one super similar to this one). So if you are looking for a fantastic fit, no distressing and the perfect wash to go with everything. This is it. This star tee is SOO comfy. I’ve been wearing it all weekend! I love it and paired with denim it’s the perfect comfy combination. I LOVE sweaters! Fall time is the best time to layer and cuddle up to cozy sweaters. This is the time to get the best ones! This cardigan is so cute and below are some more favorites I got! Striped sweater and steal it for $32. I would love to wear it with a pair of booties too. Gorgeous color for fall and so comfy. Love the neck and rib details. This sweater is a must have. 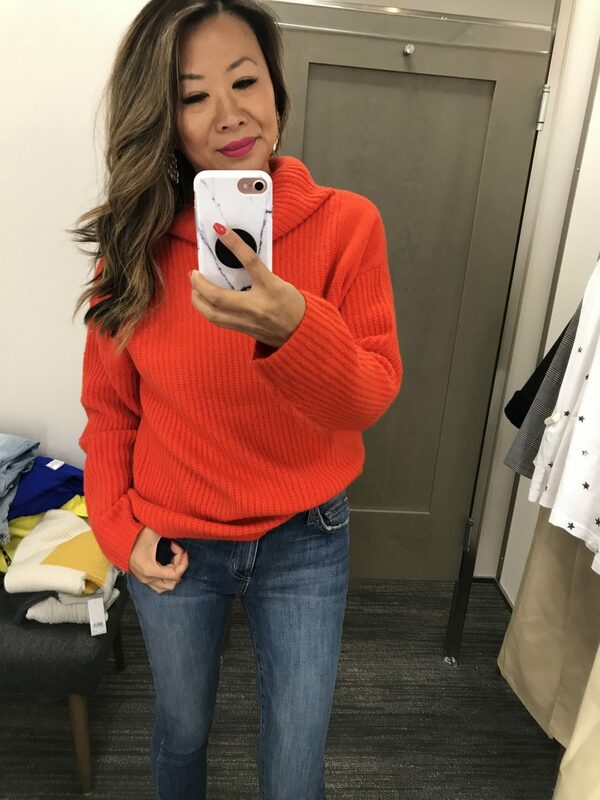 This sweater is soooo cute! I love the eyelet sleeves, the cable knitting and the baby blue color. I have already worn it out for photos 🙂 I was sweating but it was all worth it. AND my favorite hats are on sale! Shop it here. The jeans are the trouser ones I mentioned above. For some odd reason I didn’t get a photo of my favorite denim I got! These are amazing and I’ve worn them already a bunch of times. 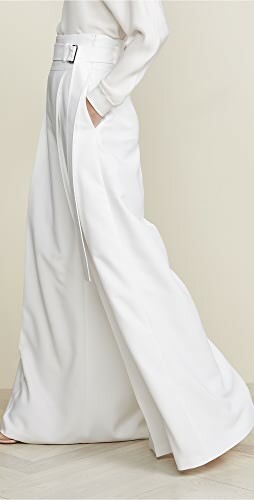 Rag and Bone with the stripe on the seam. 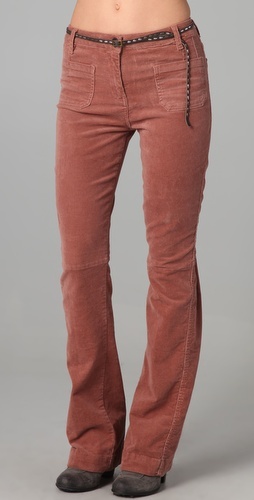 Shop them here and shop more skinny denim I love. You can shop all my favorites on this page here. And below are some of the items noted above! I also did a post here with more favorites. Are you ready to shop the Nordstrom Anniversary Sale 2018? Shop Triangle Bikinis Tops, Sweater Cardigans, Brown Flats, White Bikinis Bottom and more. Get this widget.